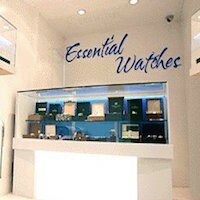 WELCOME TO ESSENTIAL-WATCHES.The roots of our company can be traced back to 1991 when our founder, Seth Grossman, launched "Global Trading" at the age of 16. Global Trading specialized in selling collectible Swatch Watches from the 1980s. Most Americans at this time were unaware of a very strong demand in most of Europe and parts of Asia for the original Swatch Watches that were primarily sold in the US starting in 1983. This early exposure into the watch business is what built the foundation for what we have evolved into today.from Swatch Watches to Patek Philippe.our journey has been exciting.